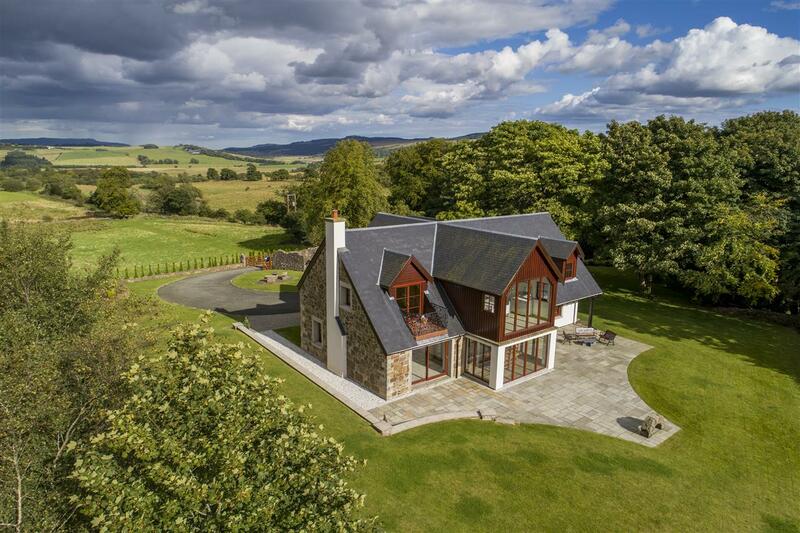 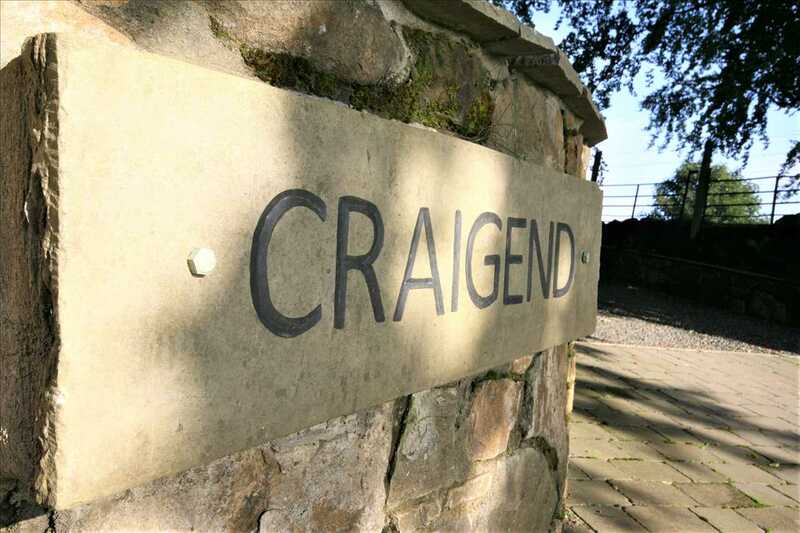 Henderson Roche are delighted to bring to the market Craigend, an exquisite new build family home set in a stunning semi-rural location in Powmill with approximately 3 acres of grounds offering breath-taking panoramic views. 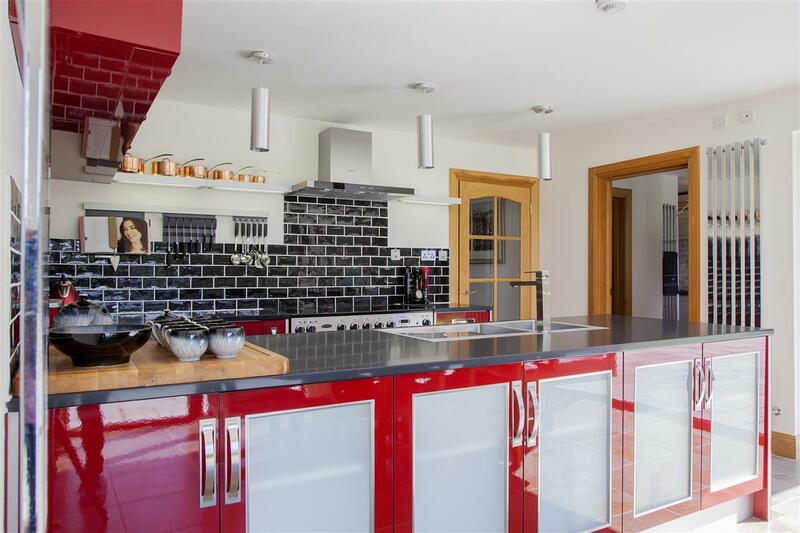 This impressive detached home offers flexible living accommodation across two levels comprising three reception rooms, dining kitchen, pantry, utility room, four spacious bedrooms with two providing en suites and a family bathroom. 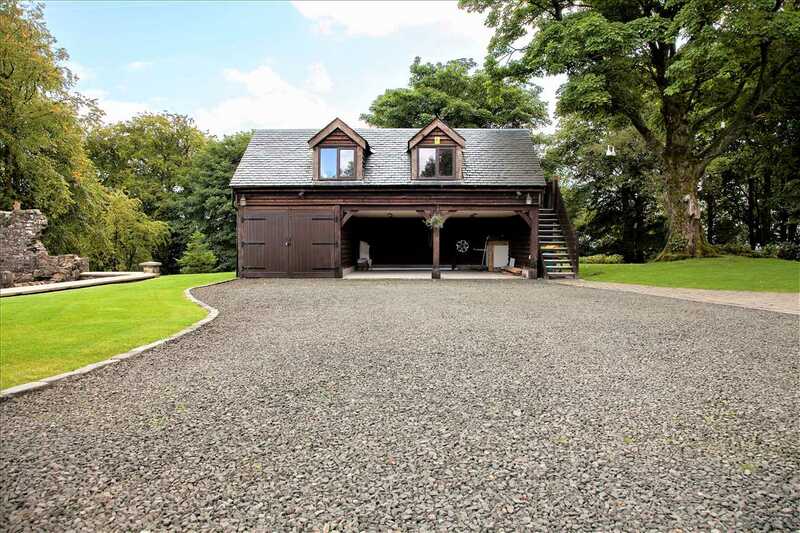 A nearly 500 square foot room has been created above the detached triple oak framed garage with two carport's. 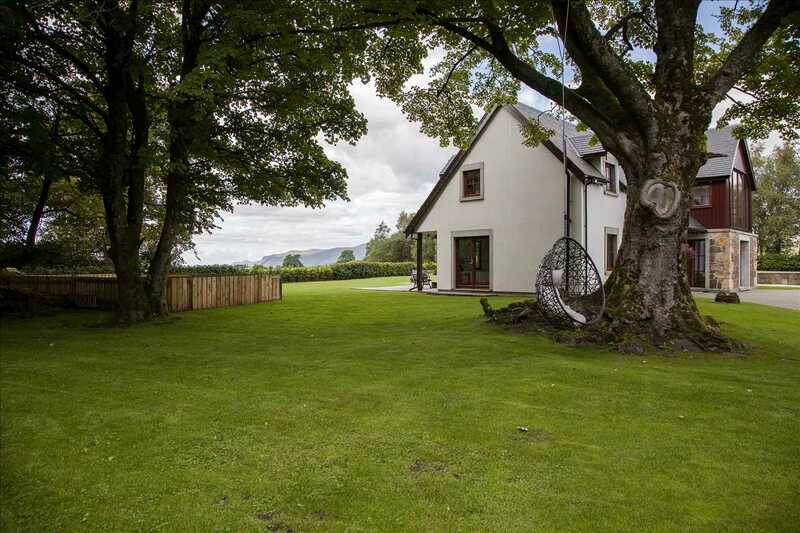 Viewing is highly recommended to appreciate the quality and features this house has to offer. 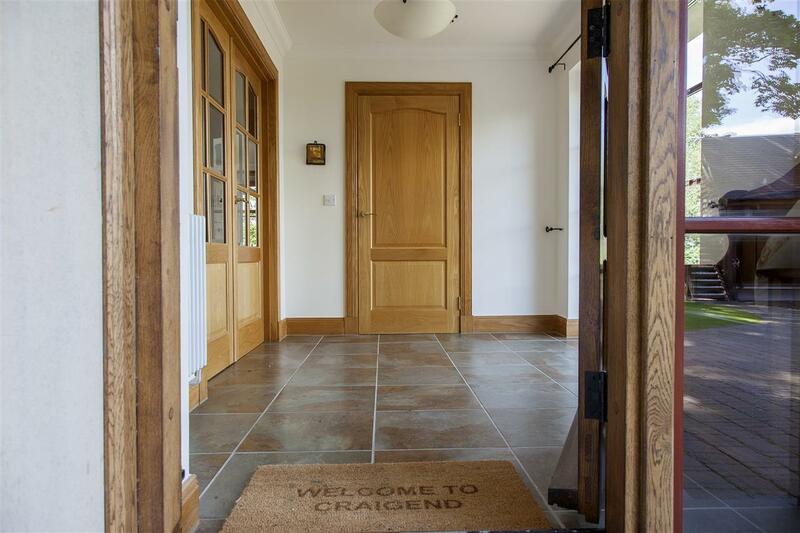 Entry to the property is via a bespoke, hand-crafted Oak door, with hand forged door furniture. 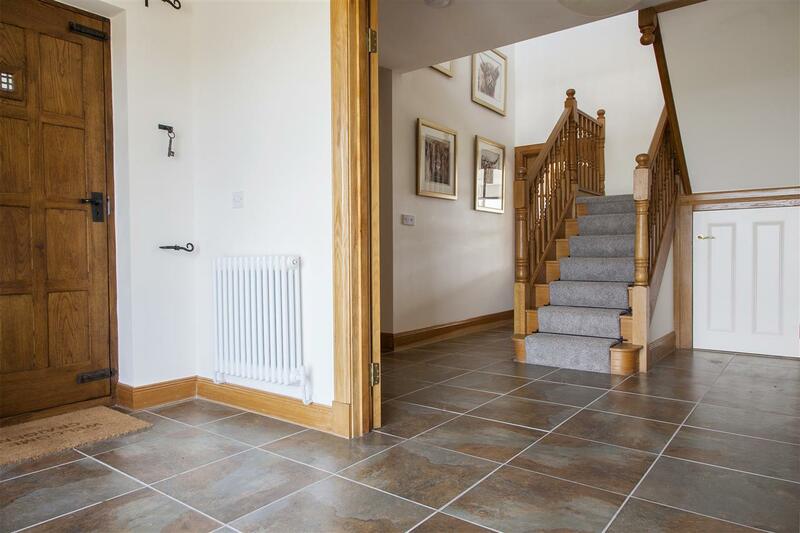 The traditional entrance vestibule with tiled flooring offers a cloak room for storage. 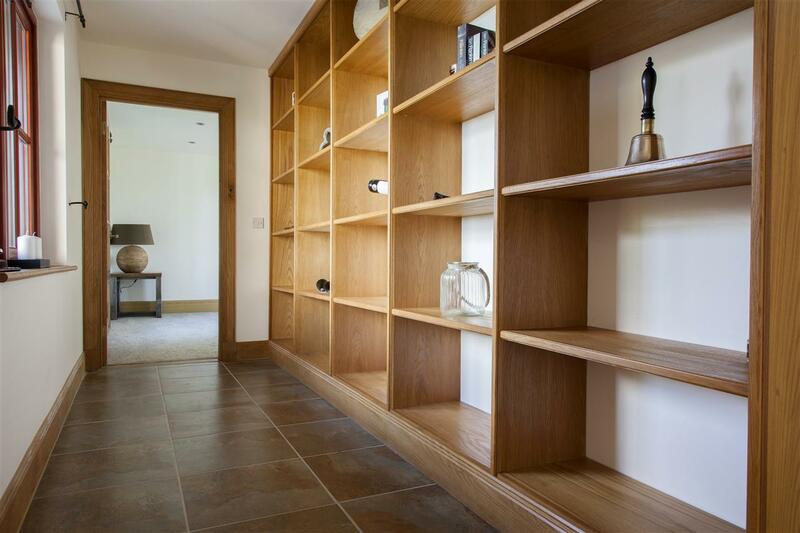 Through the glazed internal door, you are welcomed in to the reception hall which provides access to all accommodation, a convenient WC and a custom built oak bookcase along the wall for additional storage. 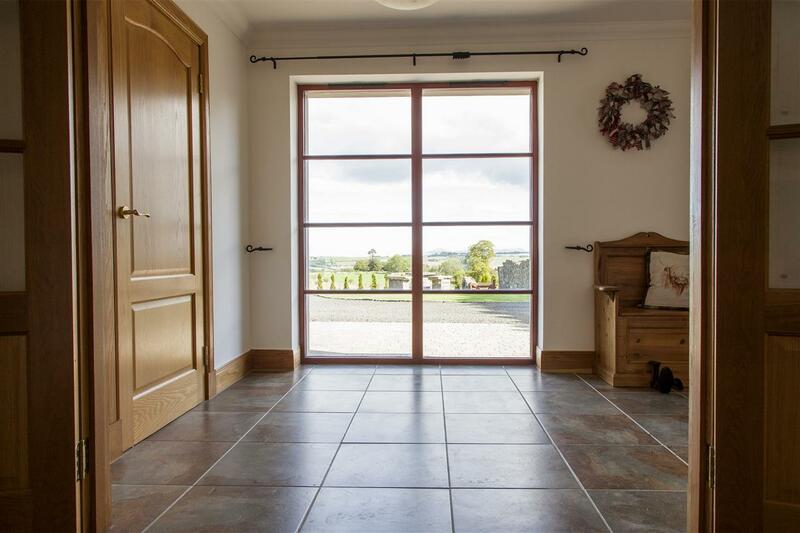 The main reception room has been designed to absorb the stunning views on either side of the room, with sliding glazed doors to the rear providing access to the patio area. 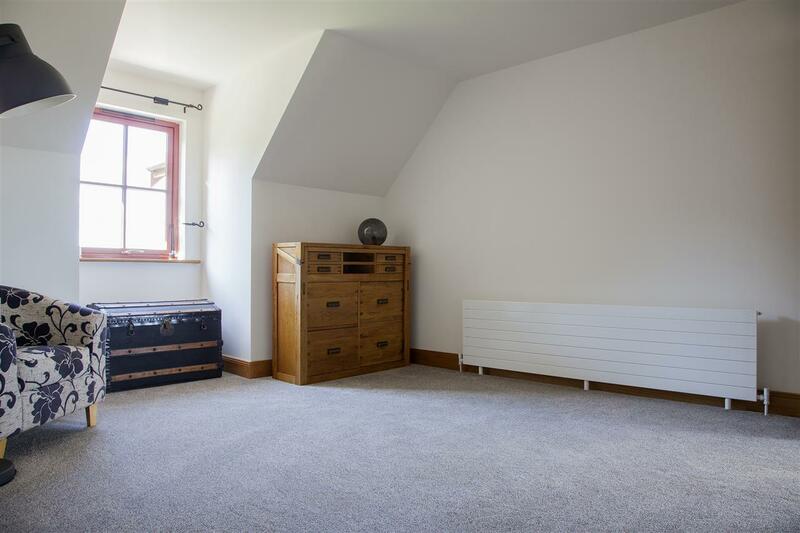 The room benefits from a beautiful feature stone fireplace with custom made fire and cleverly designed skirting boards which act as radiators to heat the room. 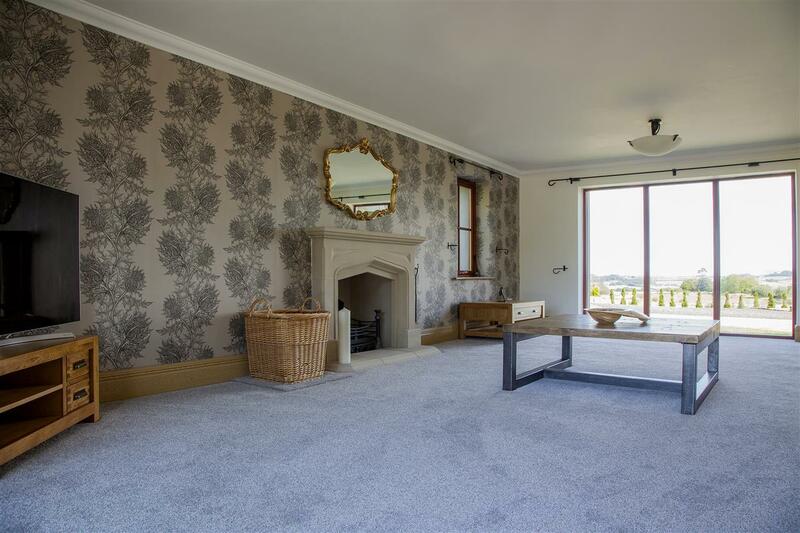 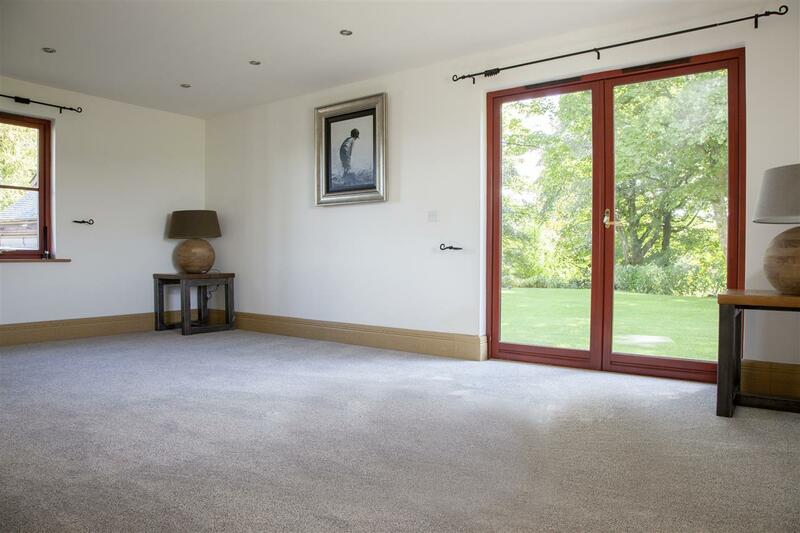 The second reception room offers a fantastic space to relax with friends and family, again providing heated skirting boards, a fitted flat screen mirror effect TV with a custom made wooden frame and French doors leading to the side of the property. 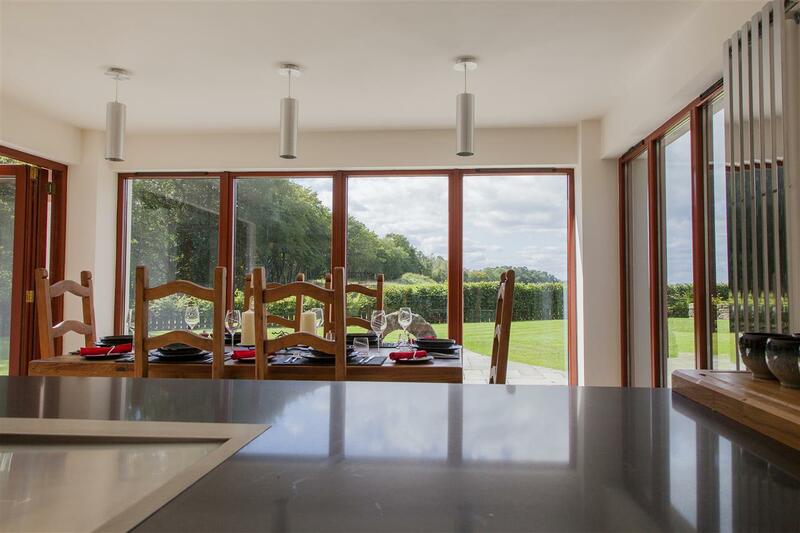 The dining kitchen is the heart of the home, providing bi-fold doors to the rear of the room that allow you to make the most of the beautiful scenery whilst entertaining. 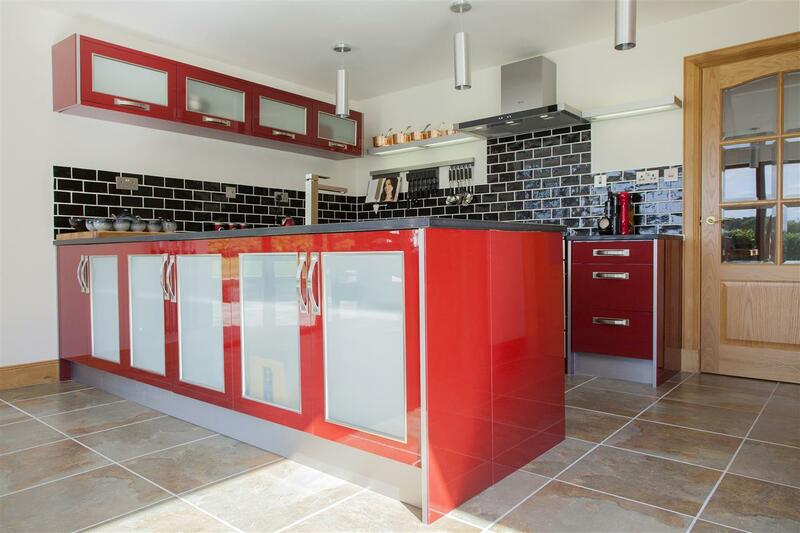 The kitchen is fully fitted with a range of red high gloss units, complimentary wall and floor tiles and a fabulous range cooker. 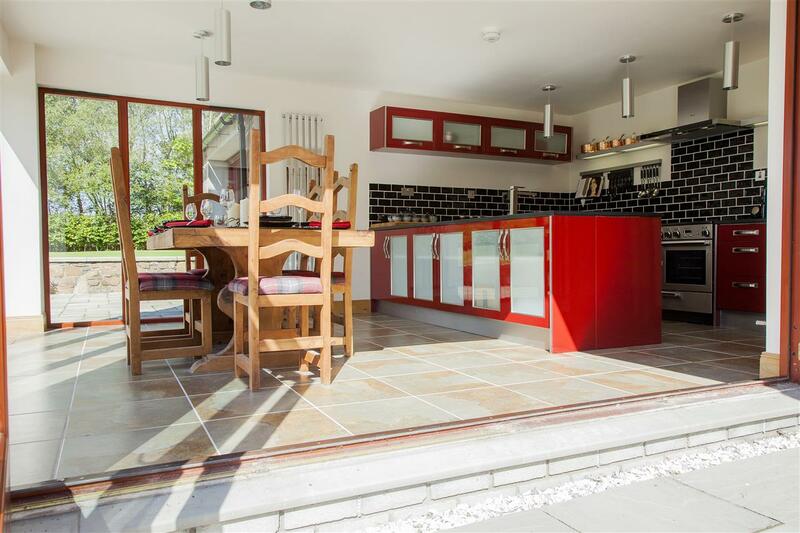 Off the kitchen is a pantry which has been designed to house the fridge freezer and provides shelves for additional storage. 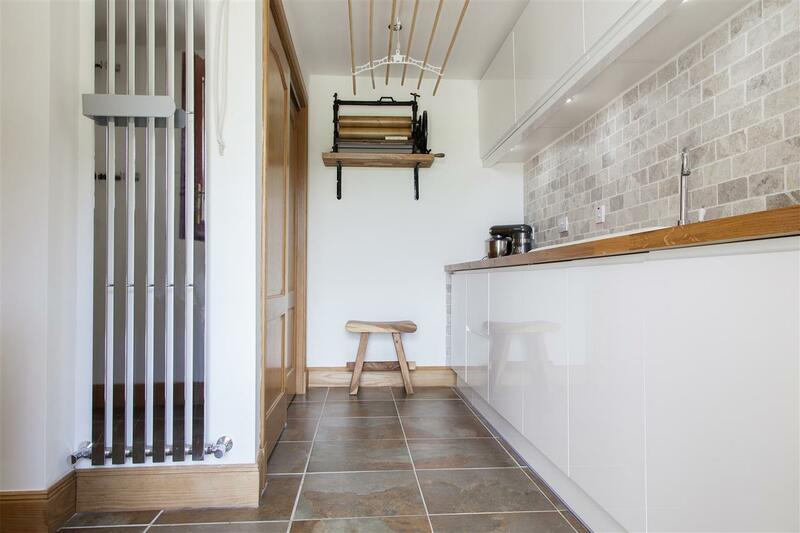 There is also a handy utility room providing space for appliances and double storage cupboards. 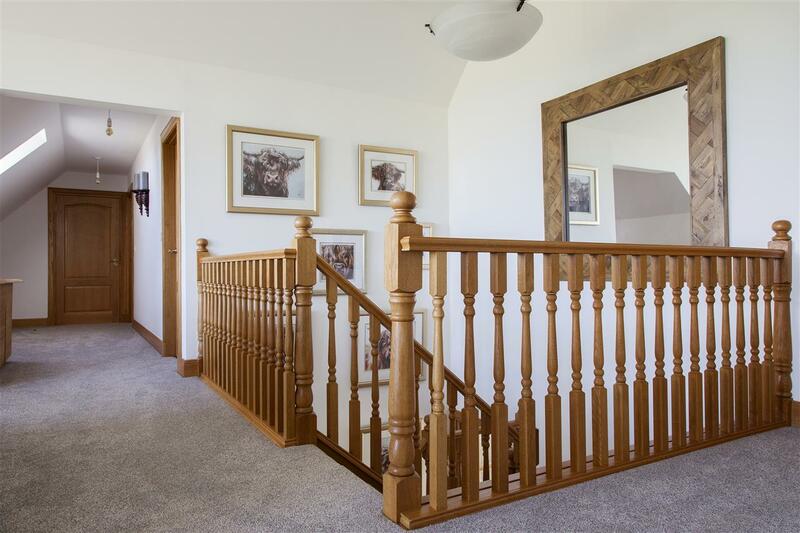 An oak staircase leads to the first floor, which opens out on to a large galleried sitting area with a fully glazed wall allowing you to relax whilst taking in the breath-taking views. 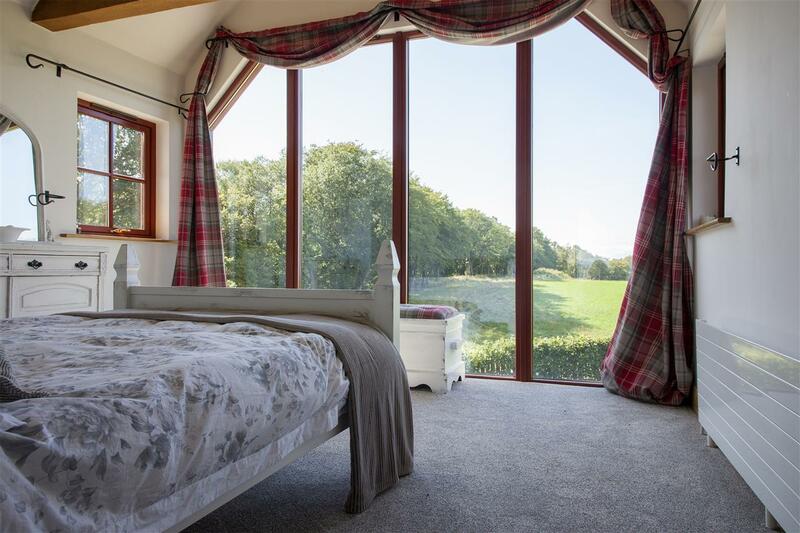 The master suite provides a generously sized en suite, double fitted ‘his & her’ wardrobes and French doors leading out onto a balcony. 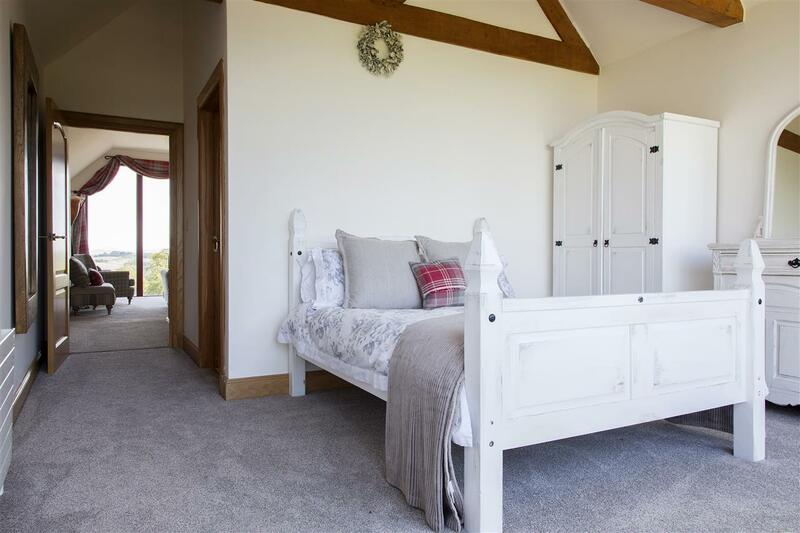 The second bedroom has been designed full of character, with exposed oak beams creating a cathedral effect. 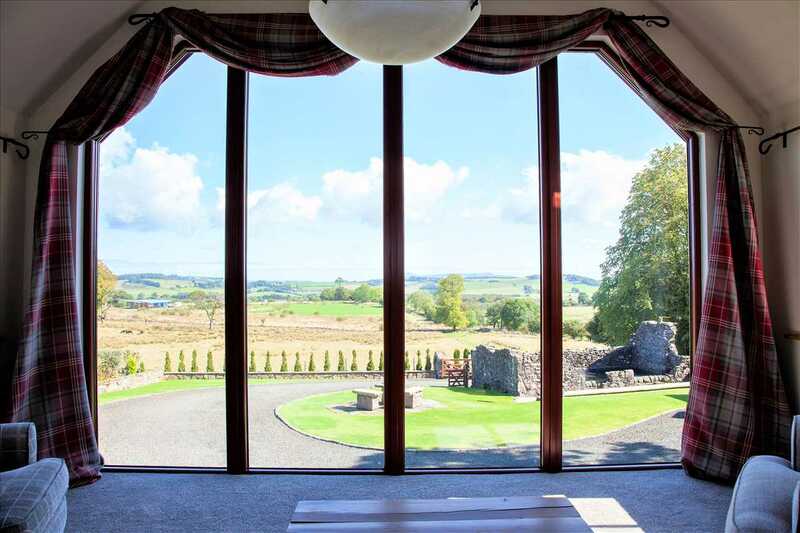 A floor-to-ceiling glass wall floods the room with light and captures views of Stirling Castle, Wallace Monument and Ben Lomond, on a clear day. 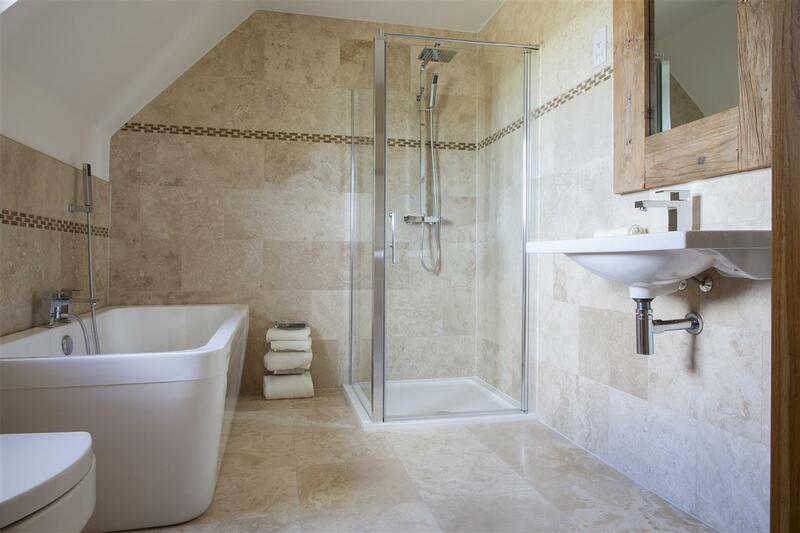 This room also provides an en-suite with ‘his & her’ sinks and a large walk-in shower. 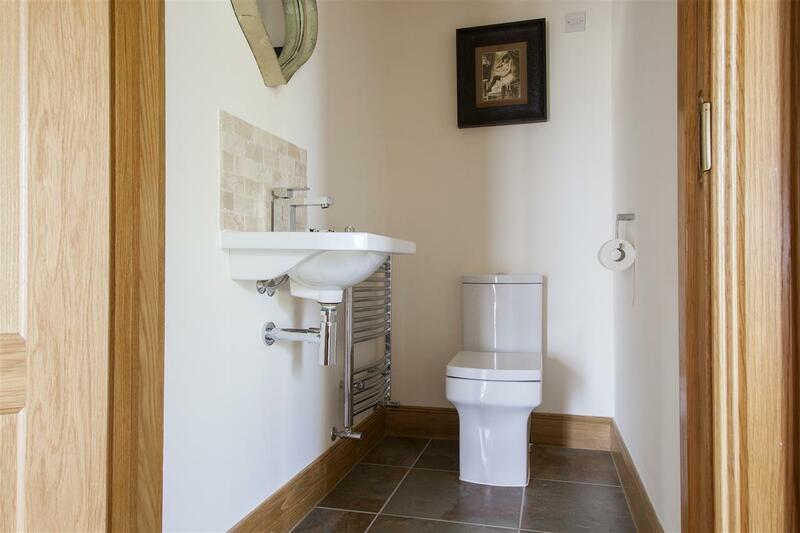 Accommodation is completed with a further two generously sized bedrooms, both with fitted wardrobes, and a fully tiled family bathroom comprising a bath, large shower cubicle, WC and basin. 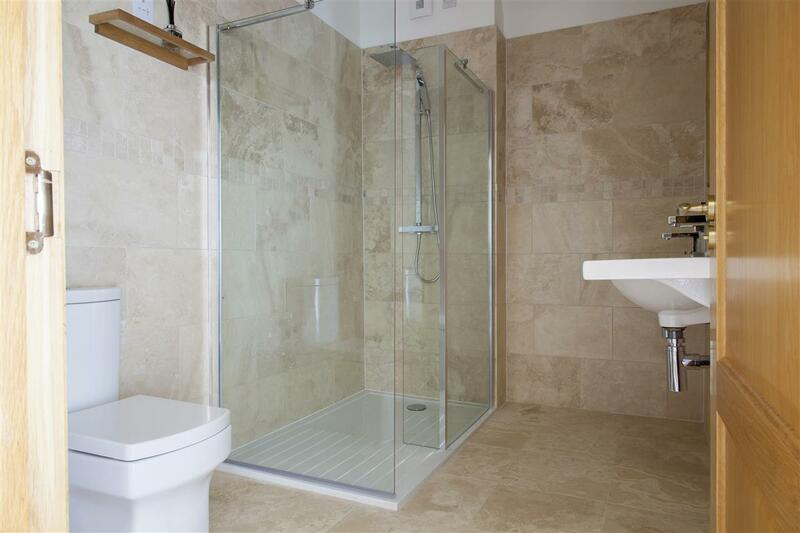 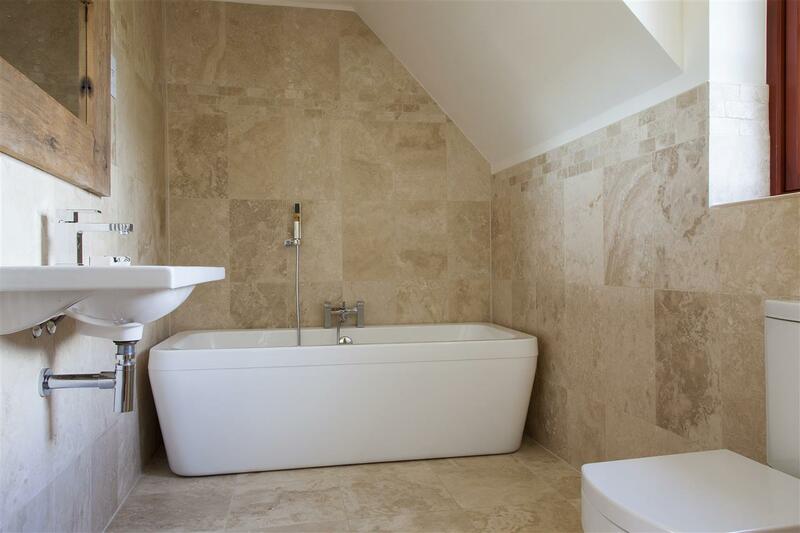 All bedrooms come with remote lighting and all bathrooms and en suites are covered with travertine tiles. 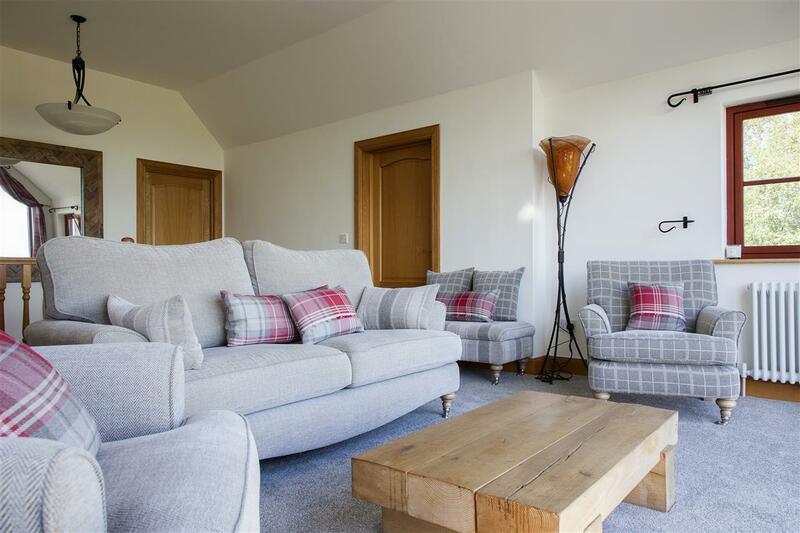 All rooms are provided with TV connection points. 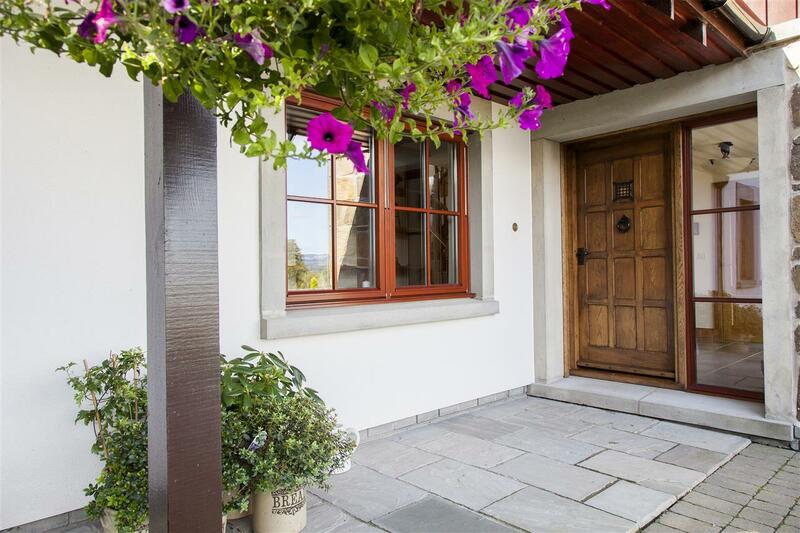 Externally, the property provides a sweeping driveway leading to the triple oak framed garage with double car port. 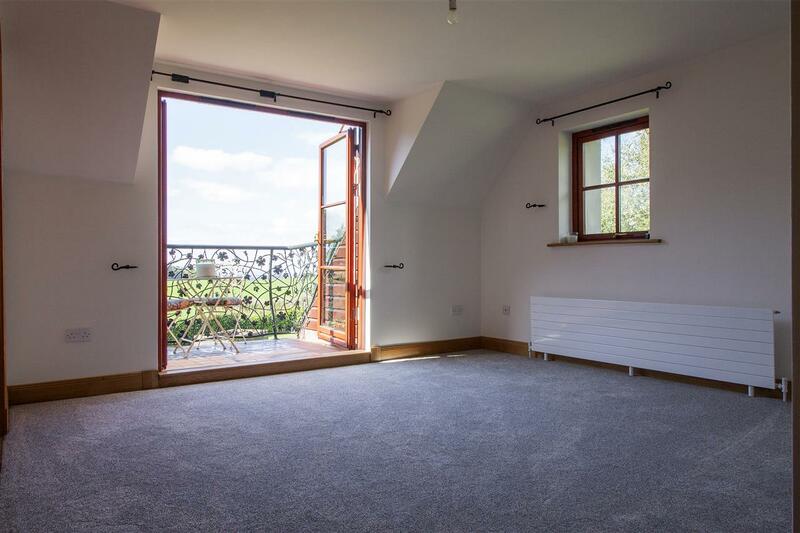 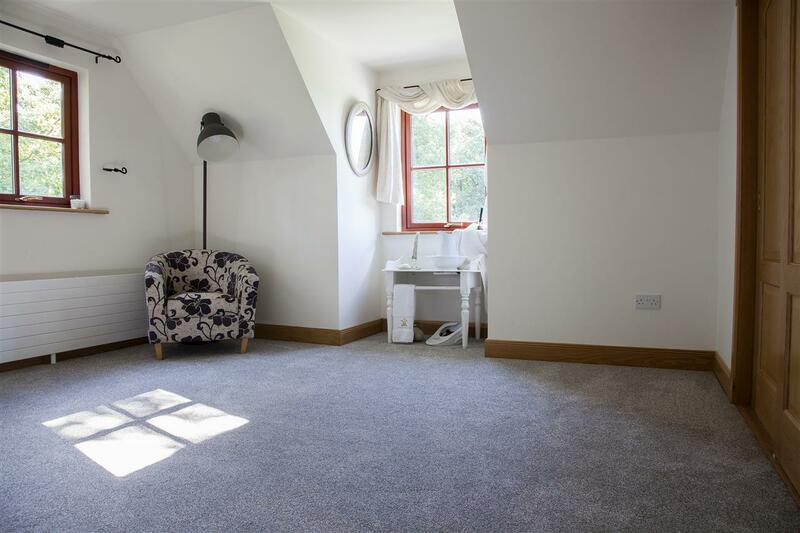 The upper level of this building is accessed via a wooden staircase and provides further guest accommodation, which is a fantastic space that could also be utilised as an office or playroom. 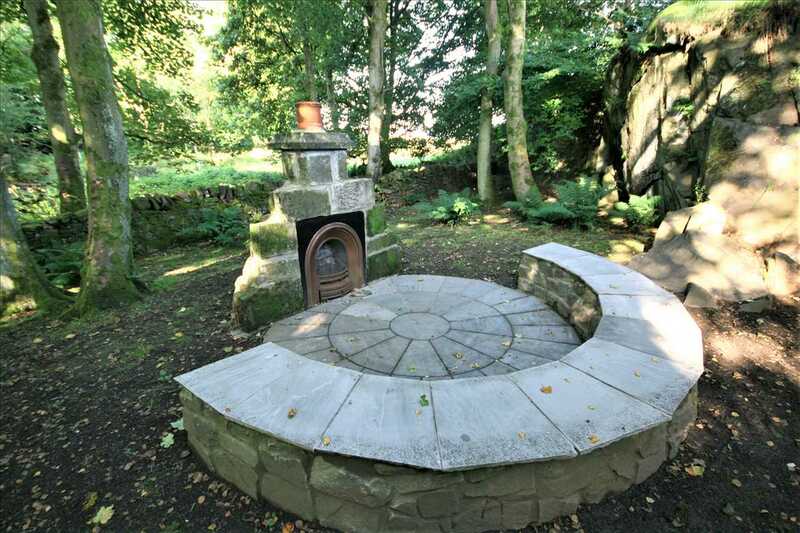 The front garden also provides a feature unique stone 45,000 litre pond and a well dating back 200 years. 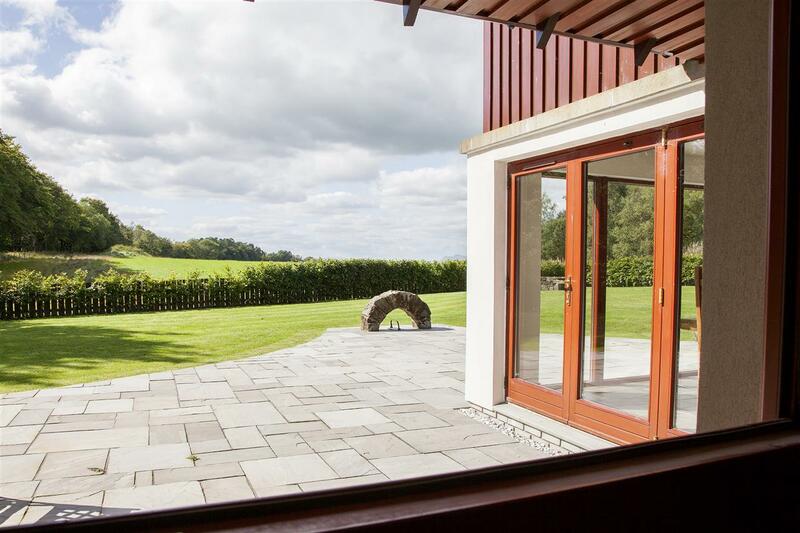 The rear garden has magnificent views of the surrounding countryside with a stone patio area making it a great place to entertain. 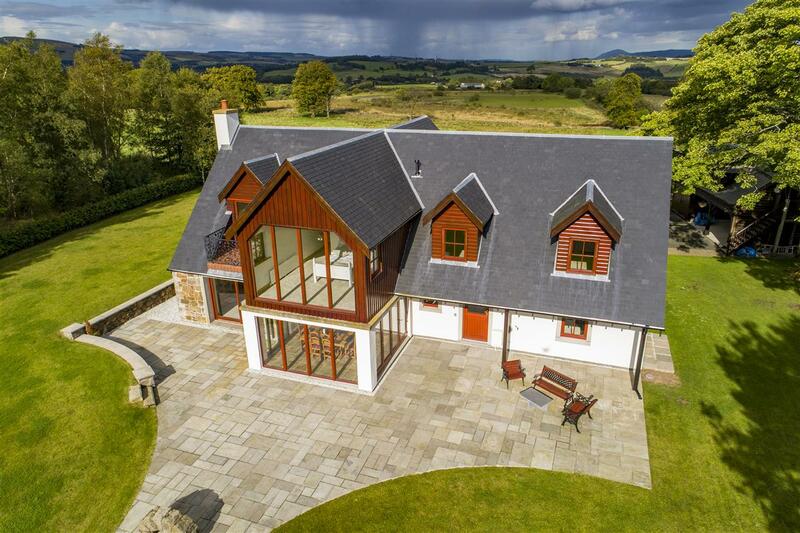 There are many more features that words simply cannot do justice. 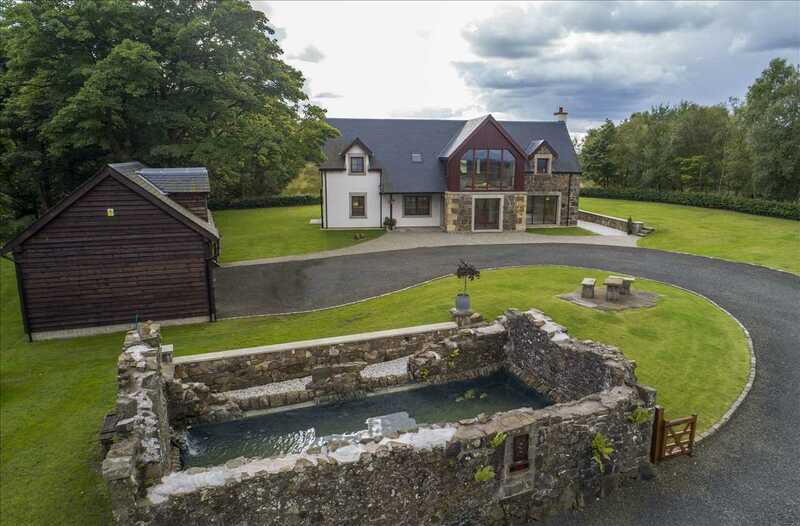 Viewing this unique, breath-taking property is essential. 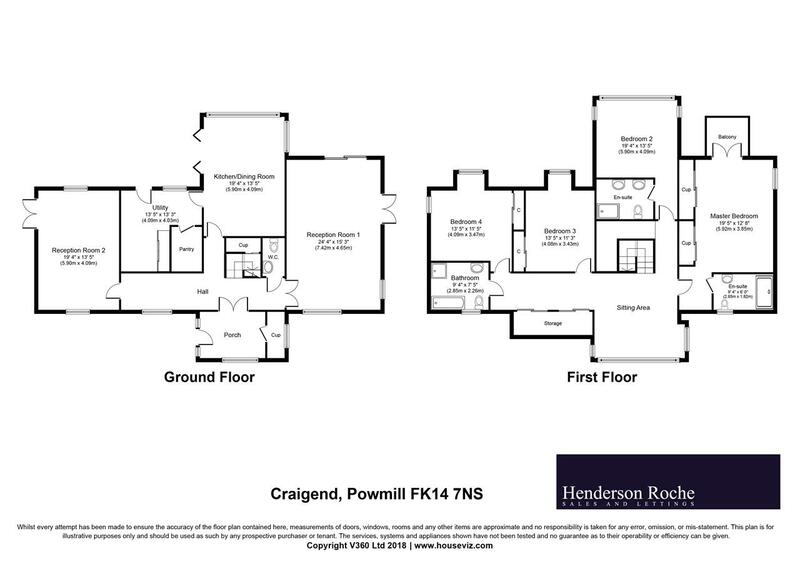 Locale; Powmill itself is a small village providing a semi-rural locale close to the western boundary of Perth and Kinross. 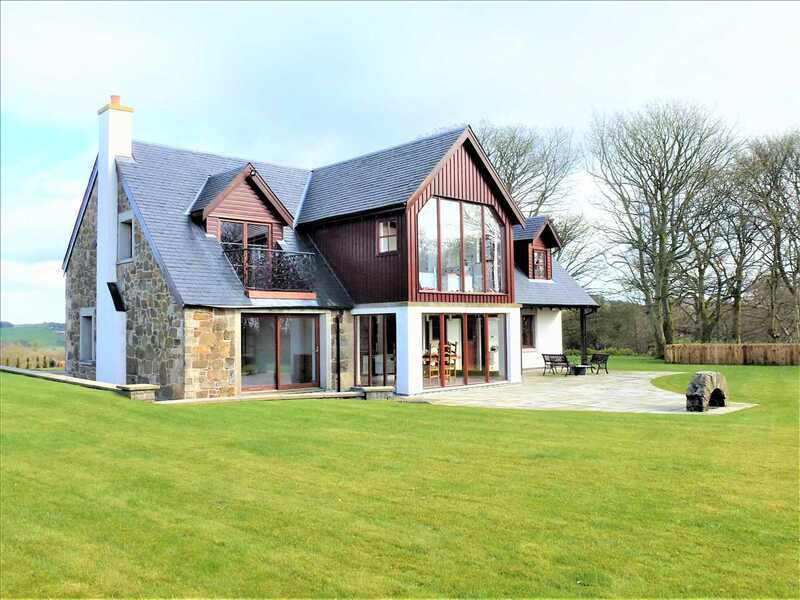 The village is close to the towns of Dollar (5 miles), Kinross (8 miles), Dunfermline (10 miles) and Stirling (16 miles) and offers an easy commuting distance to Edinburgh & Glasgow via the Kincardine Bridge/M9 and Perth & Dundee to the North via the M90.